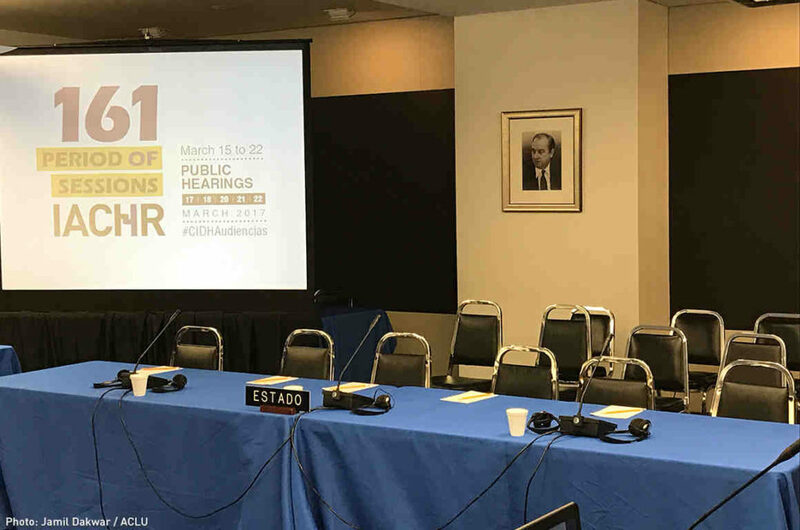 The Trump administration said it didn’t attend two Tuesday hearings of the Inter-American Commission on Human Rights because the topics being discussed are related to matters currently in litigation, according to the U.S. State Department. The Commission, which is meeting in Washington, D.C. this week to discuss human rights issues in North and South America, planned to discuss on Tuesday, the new U.S. travel ban, the Trump administration’s immigration enforcement and detention policies, and the administration’s approval of the Dakota Access Pipeline. Trump has attacked a cornerstone of every democracy: the free press. He has called legitimate media organizations “fake news” no fewer than 22 times on Twitter in the first 50 days — and many more times in speeches. 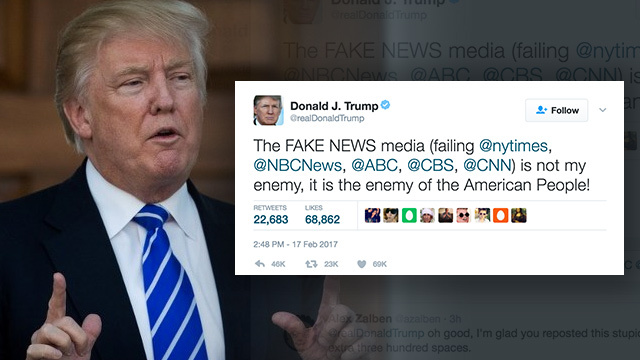 Worse, Trump called the press the “enemy of the American People,” language that echoes Mao and Stalin rather than Ronald Reagan or John F. Kennedy. Trump only views the press as a legitimate player in American democracy insofar as it is willing to affirm his narrative. To Trump, negative polls are fake. Unfortunately, his attacks are working. A recent Quinnipiac poll showed that 81 percent of Republicans agree that the media is “the enemy of the American people.” Eighty-six percent of Republicans trust Trump to tell the truth rather than the media (up from 78 percent just two weeks earlier). Throughout history, the blurring of the line between fact and fiction has been a critical precursor to the breakdown of democracy and the creeping advance of authoritarianism. The Constitution and checks and balances are not magical guardians. Documents don’t save democracy — people do. American democratic institutions are only as strong as those who fight for them in times of duress. This is one of those times, and this is just the beginning. It will be a long fight. To win it, Democrats and Republicans must set aside policy divides and unite in the defense of democracy. The American Civil Liberties Union is launching what it bills as the first grassroots mobilization effort in its nearly 100-year history, as it seeks to harness a surge of energy among left-leaning activists since the November election of Republican Donald Trump as U.S. president. The campaign, known as PeoplePower, kicks off on Saturday with a town hall-style event in Miami featuring “resistance training” that will be streamed live at more than 2,300 local gatherings nationwide. It will focus on free speech, reproductive rights and immigration and include presentations from legal experts, ACLU Executive Director Anthony Romero and “Top Chef” television star Padma Lakshmi. Suggested tactics, like the use of text messages as a mass mobilization tool, will mirror some of those employed by the insurgent presidential campaign of U.S. Senator Bernie Sanders, who mounted a surprisingly robust challenge to Hillary Clinton for the Democratic nomination. JOHN MCCAIN: I was talking about the period as, you know, of the new world order. A fundamental part of that new world order was a free press. I hate the press. I hate you especially. But the fact is we need you. We need a free press. We must have it. It’s vital. If you want to preserve – I’m very serious now – if you want to preserve democracy as we know it, you have to have a free and many times adversarial press. 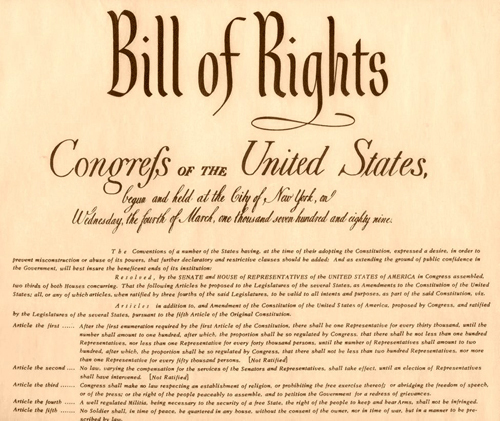 And without it, I am afraid that we would lose so much of our individual liberties over time. That’s how dictators get started. JOHN MCCAIN: No. They get started by suppressing free press. In other words, a consolidation of power when you look at history, the first thing that dictators do is shut down the press. And I’m not saying that President Trump is trying to be a dictator. I’m just saying we need to learn the lessons of history. If we get Strongman Trump or Infantile Trump, how would we protect our democratic institutions and norms? “Don’t be complacent,” warns Timothy Naftali, a New York University historian who was the founding director of the Nixon presidential library. “Don’t assume the system is so strong that a bad president will be sent packing. We have someone now saying things that imply unconstitutional impulses. If he acts on those impulses, we’re going to be in the political struggle of our lifetimes.” Meeting that challenge, I think, hinges on whether civil society can mobilize to contain and channel Trump. Fortunately, that’s happening already. As a presidential candidate, Donald Trump threatened to sue those who crossed him: the scores of women who accused him of sexual assault, the journalists who wrote critical stories about him, and even the Republican National Committee over how it awarded delegates. He will enter the Oval Office on Jan. 20 as arguably the most litigious president in history. And now, Trump will have vast influence in shaping the U.S. Department of Justice and FBI — and many of the powerful post-9/11 policies that tested America’s legal system by pitting security concerns against civil liberties. The Justice Department has long prided itself as a fiercely independent agency, with many career prosecutors outlasting any one presidential administration. But even some of the most controversial DOJ alumni now worry how Trump will pursue his vision of justice. “He thinks all kinds of crazy things about prosecutions,” said John Yoo, a Berkeley law professor who, while serving at DOJ’s Office of Legal Counsel in 2002 and 2003, helped write legal justifications for aggressive interrogation methods that critics call torture. Those memos have since been rescinded. “I don’t think he has a very good sense of how our law enforcement system works,” Yoo told Foreign Policy. During the campaign, Trump distinguished himself by his volatility, his vindictiveness, and a desire to strike back at his enemies, qualities that may have served him well in the rough-and-tumble world of New York real estate. But critics fear Trump will harness the Justice Department to pursue political prosecutions against enemies and otherwise trample civil rights. He will enter the White House after 15 years of presidents — Democratic and Republican — who have wielded nearly untrammelled executive power to conduct investigations, war, covert action, and surveillance operations. “We are faced with a situation where Trump is going to inherit extremely broad powers that are subject to no meaningful oversight by the other two breaches,” said Jameel Jaffer, the director of the Knight First Amendment Institute at Columbia University. I already noted the day after the election that the American Civil Liberties Union is already preparing to respond to violations of civil liberties under Trump. Donald J. Trump, now the official President elect, is an enemy of press freedom unlike any we have seen in modern presidential history. In the past 18 months alone, he has threatened to sue newspapers or journalists over a dozen times and said he will attempt to “open up libel laws” as president to make it easier to take newspapers to court. He has attacked and insulted members of the media almost daily and blacklisted countless news outlets over the course of his campaign. He has blamed “freedom of the press” for a terrorist attack in New York and has said the press has “too much protection” under the First Amendment. And much more. 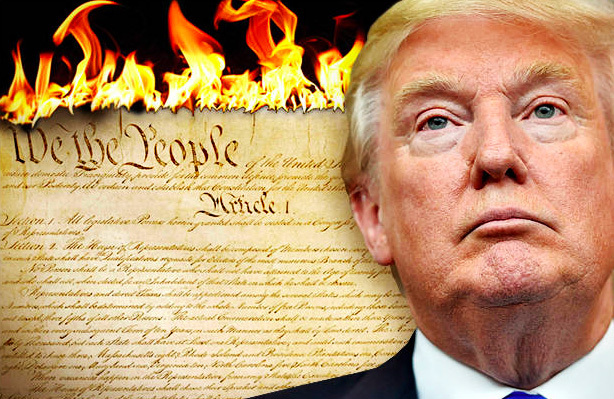 In short, before he even has taken office, he has waged war against the free speech protections guaranteed under the Constitution at a truly historic pace. We may be in for the biggest press freedom fight of our lives for the next 4 years. The fight may be hard, and it may be long, but we want you to know: Every threat, every lawsuit, every subpoena, every prosecution, we will be there holding Trump accountable and upholding the First Amendment. More at BuzzFeed and Hit and Run. 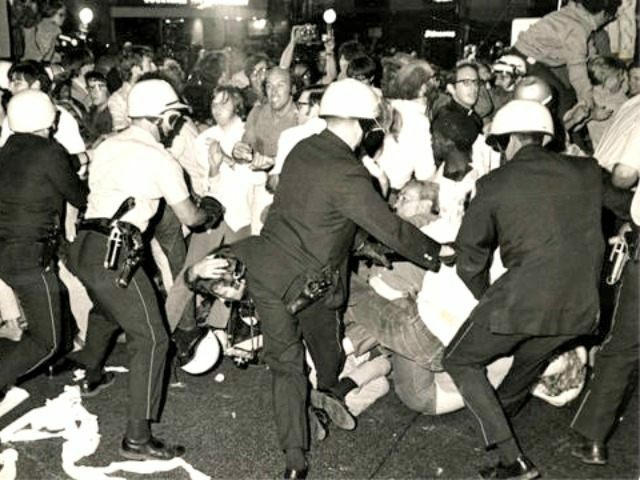 The likelihood that the 2016 Democratic National Convention will coronate Hillary Clinton, one of the most hawkish politicians in the nation, has drawn many similarities to 1968, when anti-war protesters demonstrated against the Democratic Convention in Chicago. Protests are being organized at the 2016 convention in Philadelphia by Sanders supporters and those who oppose the policies of Hillary Clinton. 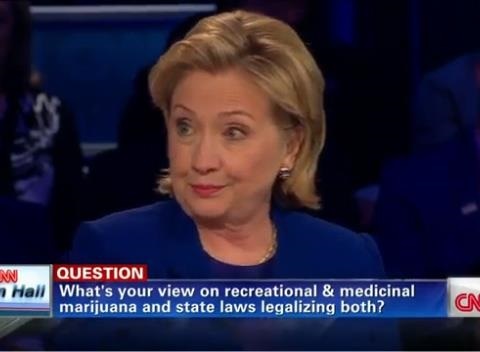 Besides her foreign policy views, there are expected to be protests against Clinton’s support for oligarchy and the corrupting role of money in politics. With the Democratic Party establishment being firmly in the grasp of Clinton and her supporters, who have never shown much tolerance for freedom of speech or protest, the response is efforts to suppress dissent. The American Civil Liberties Union of Pennsylvania has issued a protest. The letter noted that the ACLU has met regularly with city officials involved in planning for the DNC, an event expected to attract tens of thousands of delegates and protesters July 24-28. Protest leaders are expected to meet with the city in a closed-door meeting Thursday, and topics like marching on public streets and sleeping overnight at impromptu campsites in city parks are up for discussion. Last week, NBC10.com reported that campsites in South Jersey are already filling up with pro-Bernie Sanders. As many as 30,000 protesters could flood FDR Park, across the street from the Wells Fargo Center in South Philadelphia, during the entire week in July. Their treatment at the park is among the concerns cited by the ACLU in their letter to Kenney. The ACLU of Pennsylvania sent a letter to Philadelphia Mayor Jim Kenney today asking him to clarify the city’s position on protest activity during the Democratic National Convention. The letter is in response to recent statements by the city’s law department that contradict previous promises not to interfere with protesters. The issues raised in the letter include the city’s new proposal to prohibit all marches on Broad Street and those taking place during rush hour; the city’s plan for handling protesters demonstrating without permits, and fencing around FDR Park, where many protests will be held. The feeling among many Sanders supporters is that while Donald Trump talks about building walls, Hillary Clinton is building walls–with there being even more serious examples of Hillary Clinton doing what Donald Trump so far has just talked about. Hopefully this is just the start of a movement to put pressure on Hillary Clinton and the Democratic Party if Clinton is elected president. While unexpected events could still change matters, Clinton’s election is looking increasingly likely as Donald Trump has shown no ability so far to pivot from attracting right wing extremists to win the GOP nomination to a general election campaign. 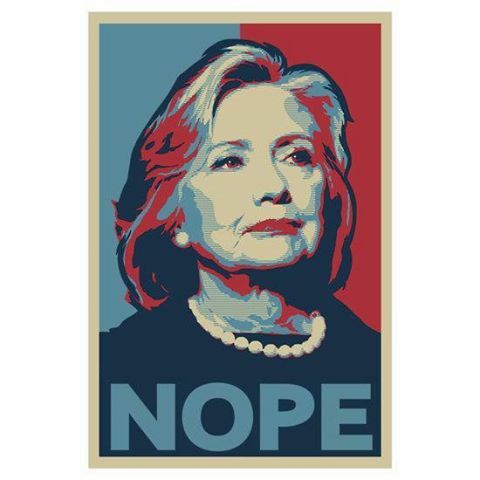 Like during the Vietnam War when both parties were at fault, the election of Hillary Clinton would be a tremendous victory for the supporters of neoconservative interventionism and for oligarchy, with both major parties supporting expansion of the warfare and surveillance state.